Located in Sinai Peninsula, between the north of Mediterranean Sea and the south of Red Sea, Dreams Vacation Resort is a luxurious property set in the famous Sharm El Sheikh. Suitable for families and couples the resort offers 319 deluxe rooms that are customised with all sophisticated facilities. Rooms are designed with a balcony that overlooks the beautiful garden and the pool area, so that the guests stay connected with the beautiful landscape throughout. Other worth a mention features are three restaurants and four bars, indoor and outdoor games & activities, water sports, five swimming pools and fitness centre with a spa. 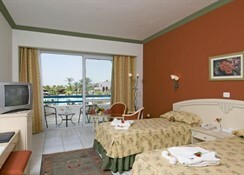 Dream Vacation Resort has 319 deluxe Room and Suites that either face the pool area or the garden. These rooms are divided into four categories; Standard Room, Family Room (two connected units), Standard Suite and Junior Suite. Each room is furnished with a king-size or a twin bed and can accommodate up to a maximum of four persons. Common facilities in the room comprise direct dial phone, individually controlled air conditioning, TV with satellite connection, mini fridge, en suite bathroom and furnished balcony. 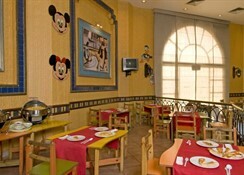 Rooms are bright and modern, fitted with wooden chairs and tables. 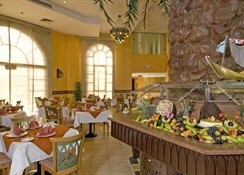 It houses three restaurants that serve an assortment of different cuisines. Sombrero the Mexican restaurant offers a la carte menu between 7 P.M. to 11 P.M. (reservation required). 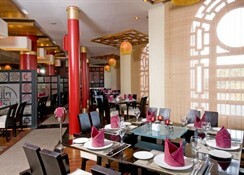 The Asia House restaurant serves Chinese and Indian dishes at dinner time prepared by special chefs (reservation required). 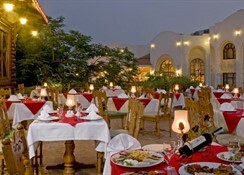 And finally the Andalusia Restaurant serves Asian, Egyptian and International cuisines in its live kitchen — timings are Breakfast: 7 A.M. to 10:30 A.M., Lunch: 1 P.M. to 3 P.M. and Dinner: 7 P.M. to 10 P.M. Dream Vacation Resort also offers four bars and cafeterias; Andalusia Bar that opens from 10 A.M. to 1 A.M., Sailor Bar that serves all kinds of drinks and remains open 24/7, Elite Bar that opens from 2 P.M. till 2 A.M. and Mexican Pool Bar that runs from 10 A.M. till 6 P.M.
Keeping in mind to keep its guests entertained, Dreams Vacations Resort provides a long list of recreational facilities. Football, table tennis, lawn tennis, volleyball and billiards are some game on the open. It also offers water slides and diving centre within the resort premises. There is a spa equipped with different massages, steam bath, jacuzzi, sauna and a huge fitness centre. The animation team ensures that they conduct various activities and programmes from morning till night, such as fitness class, water acrobatics, and open air events. Otherwise it has five swimming pools (for both adults and kids) that are furnished with sunbeds and parasols. The surrounding area is famous for water activities, thus you can also indulge in snorkelling, boat trip and night diving, and many more. The resort is built on Om El Sid Cliff, overlooking the crystal blue sea. It has a 400 metre white-sand beach, hidden behind the mounds. The resort is a destination in itself, but the nearest destination from the resort is Neema Bay, located 7 km away. 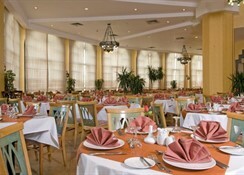 Other destinations are Sharm El Sheikh Airport located 23 km away and Ras Mohamed situated 35 km from the resort. Dreams Vacation Resort houses a supermarket, but about 100 metres away from the property there are few shops that sell handicraft and other basic items, and few eating joints serves local cuisine.